Every kitesurfer or windsurfers dream is to find the perfect swell. Where ever wind blows over the sea, part of its energy is transferred to the water leading to the opportunity for any kite surfer to rig his kite if a beach is close by. Friction between air and water means any breeze striking the water will create ripples. If winds persist, wavelets rapidly outgrow the surface tension’s influence and gravity comes into play. Gradually the wind will set all the waves in motion – initially travelling at about a third of the wind speed. The west coast of southern Africa waves are driven by tidal changes. Ground swells reaching the coast isn’t quite what it used to be out at sea. 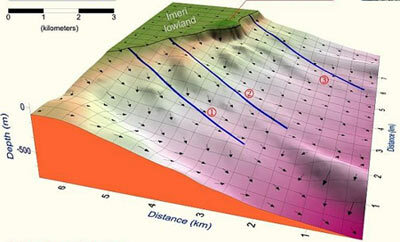 Wave heights can diminish by a third with each doubling of their journeys distance. Towards the Cape Point ocean depths generally tend to be still very deep often resulting in waves keeping their size. Giving the Cape of Good hope the treacherous tales it carries for many a sailor. Although waves are produced in the global wind systems. 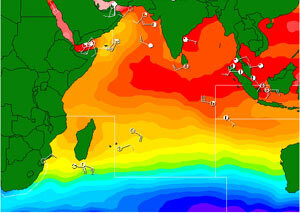 Deep winter storms in the higher latitudes of both hemisphere are the best producers of ground swells. Both oceans endure massive, long-lived storm lows with strong winds, and both offer enough fetch for the creation of big, long-range ground swells. This often reaches the west and east coast of Africa at full power and size. The bands of SW winds that follow across the southern tip of Africa often leave perfect conditions for any sailing sport. The Antarctica Southern Ocean waters below the Indian Ocean see particularly intense storm activity, delivering big SW swells as a result to the east coast of South Africa which can bring a tear to any kite surfer eye.